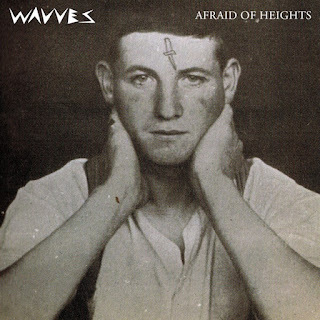 Not to be outdone, Wavves' Nathan Williams made a few announcements this evening, as well. The new album, out March 26, entitled Afraid of Heights, will feature at least one guest spot by Jenny Lewis (of Rilo Kiley), but you may have known that already. What's news here is the album art (seen to the left), the track listing (seen below), and an expansive tour schedule. Oh, and another new track from the album called "Demon to Lean On" which you can listen to below as well. Also check out the video for "Sail to the Sun" after a statement from Williams. "The general theme of the record is depression and anxiety, being death-obsessed and paranoid of impending doom. I feel like the narration is almost schizophrenic if you listen front to back; every word is important, even the constant contradictions and lack of self-worth. That's all a part of this record-questioning everything not because I'm curious, but because I'm paranoid."